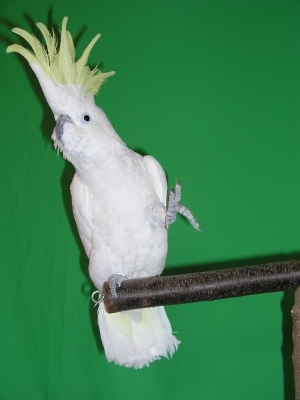 It started with a sulfur-crested cockatoo named Snowball. When a colleague showed Aniruddh Patel a YouTube clip of Snowball seemingly dancing to a pop song—the Backstreet Boys' "Everybody"—Patel was shocked. Not only was the bird dancing to the music, but it also appeared to be moving perfectly in sync with the beat, a skill Patel thought only humans could master. "At the time, it seemed like we might be the only species with this response to music, which is striking, since it doesn't seem like a complicated behavior," says Patel, an associate professor of psychology in the School of Arts and Sciences and an expert in the burgeoning field of music neurobiology. Patel contacted the owner, who, as luck would have it, was a scientist herself. Together, they ran Snowball through a series of dance routines, slowing down and speeding up the song by up to 20 percent, and watching the bird's response. At nine out of 11 different speeds, the bird matched the beat. "It turned out to be the first demonstration that another animal could feel the beat of music and move its body to it," says Patel. It was a case of the exception proving the rule—the vast majority of animals just don't seem to have the cognitive capacity to anticipate a beat and move to it. "Across biology, there are rhythms everywhere, so it's a reasonable intuition that they would be deeply ingrained in behavior," says Patel. From frogs croaking to fireflies flashing, many animals engage in rhythmic patterns to mark territory or attract mates. That's what Charles Darwin thought, too. Writing about the evolution of music in The Descent of Man, he speculated that music by humans taps into brain circuits deeply rooted in evolution and widely spread across the animal kingdom. But Patel challenges that assumption in a new paper titled "The Evolutionary Biology of Musical Rhythm: Was Darwin Wrong? ", arguing that the ability to move in synchrony with a beat may be almost as rare, evolutionarily speaking, as language. Close observations of animals and insects that produce rhythmic behaviors in synchrony with each other—such as certain species of fireflies—have found that they can only synchronize within a very limited range of tempos, unlike people. Even animals closely related to us fail at very simple tests such as tapping in synchrony with a metronome. After a year of training, the best rhesus monkeys can do is tap a few hundred milliseconds after each metronome click. In other words, they are only responding to the beat, not anticipating it. "That turns out to be a key cognitive difference," says Patel. "When we are listening to music, we predict when the next beat will be." In fact, he says, part of the pleasure of listening to music is seeing how a composition confirms or challenges our expectations. "Monkeys make predictions in other aspects of their behavior, but not for music," he says. "Their perception of rhythm is purely passive." Watch a video of Snowball dancing to the beat. Enter Snowball. Previously, Patel had hypothesized that there was a connection between the ability to imitate complex sounds ("vocal learning") and the ability to move to a beat. But he had never found evidence for that in any other species until seeing Snowball sway to the Backstreet Boys. Parrots are one of the only species that can learn and reproduce complex vocal patterns like humans. The fact that they can also learn to dance may be linked to that ability. Patel notes that in brain studies of humans and parrots, there are special connections between motor planning regions in the front of the brain and sound-processing regions farther back in the brain. Patel theorizes that these connections allow us to synchronize to the beat by using a simulation of movement to help predict the timing of beats, whether we're actually moving or not. Those connections don't exist in primates and most other animals—explaining why monkeys can't dance. While a link between vocal learning and the ability to move to a beat has been confirmed in some animal studies, it has been challenged in other cases, he notes. California sea lions, for example, are not known to be vocal learners like parrots—however, they have been trained to move to a beat, even varying their rhythm across different tempos of music. Before scoring a point for Darwin, however, more complex neuroimaging of a sea lion's brain needs to be done. Since seals, sea lions' close cousins, are vocal learners, it's possible that sea lions have retained neural pathways inherited from a common ancestor of both species, even if they are not able to mimic vocal patterns themselves. "The animal that I think will really test my hypothesis is the horse," says Patel. "They are not related to vocal mimics, nor are they vocal mimics themselves." Nevertheless, some horse owners have claimed that they have seen horses synchronize their gait to music when trotting, even when no rider is present. To test fully whether they are anticipating or responding to the beat, however, further studies must be done with trainers wearing headphones to block the music, lest the animals be synchronizing their movement to unconscious human cues. Beyond helping biologists better understand the workings of the brain, exploring the connection between rhythm, movement and vocalization could have medical applications. Music therapy has been shown to help patients suffering from a range of problems in the brain, including Parkinson's disease, Alzheimer's and stroke—and yet why it works is largely a mystery. "While we have clinical evidence that music with a beat helps people with different disorders, we just don't understand the way it works from a neurological perspective," says Patel. "If we can show there is another animal that processes beat like we do, it opens a new door to investigating how music has these effects." Currently, Patel's lab is working on more studies to understand more fully the connection between rhythm and movement. Jake Austin, A14, is investigating the difference in humans' ability to synchronize movement to a rhythm they hear versus a rhythm they feel—for example, as a tap on the skin—which could shed further light on the power of the auditory pathway in processing rhythm. Patel, meanwhile, is continuing his experiments with Snowball, in order to test how flexible the cockatoo is in synchronizing across rhythms of different tempos. "Humans can synchronize to the beat of music across a very wide range—from 50 percent slower to 50 percent faster than an original song," says Patel. "So we'd like to see how close he comes to this in his abilities." 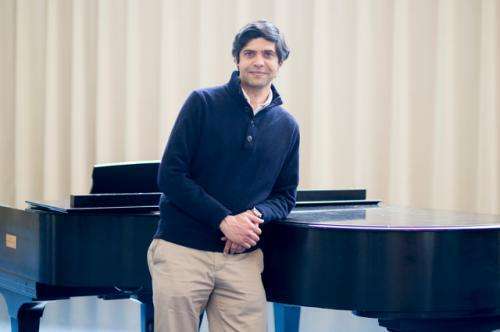 Fortunately for Patel, as his understanding of how the human brain processes music and language has grown, so has his main subject's musical taste. "Thankfully Snowball dances to a lot of other things—otherwise I'd get very sick of that song," says Patel. "Apparently now he's a big fan of Lady Gaga."